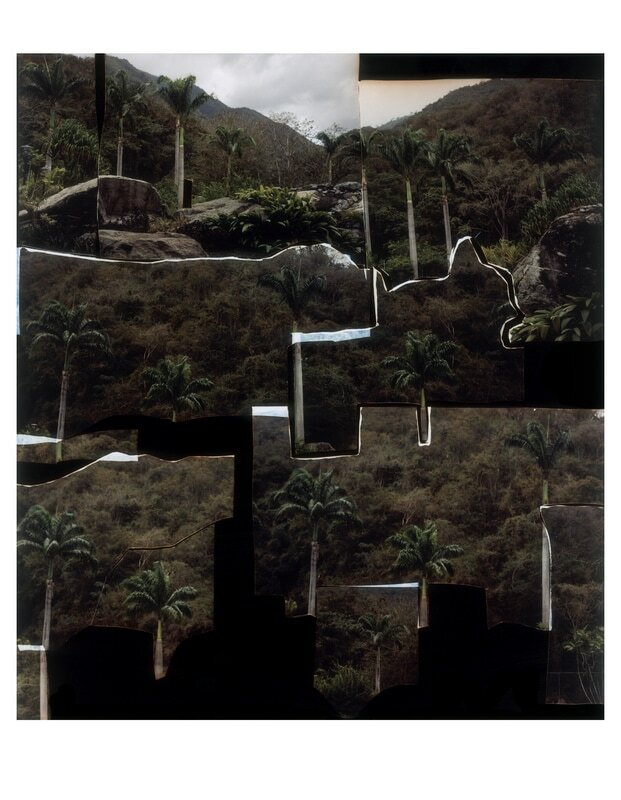 Edition of 15 + 3AP, 10" x 17.5"
Produced with the Perspex cutting block I collage my negatives on, the residue of the marks become abstracted indexical traces of the process whilst being in dialogue with the flared incisions in the Constructed Landscapes images. This colour photogram is part of an ongoing body of work produced with the Perspex sheet as it evolves over time across different contexts. ​To coincide with my solo show at Photofusion, I've produced a short-run publication designed by Loose Joints with commissioned texts by Sarah Butler, Miranda Gavin, Shoair Mavlian, Gemma Padley and Olga Smith.